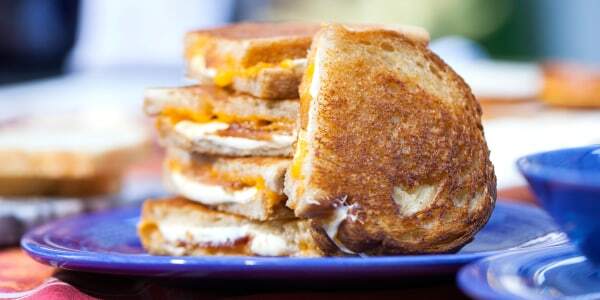 When it comes to comfort food, a great grilled cheese might just be the ultimate meal. 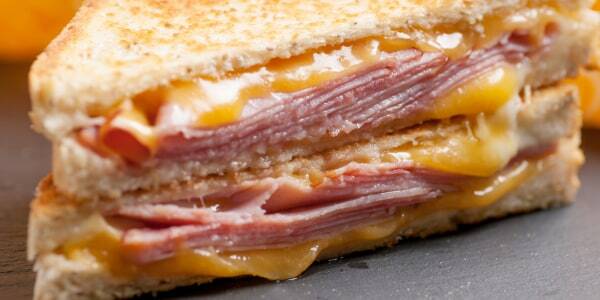 But what's the trick to making an absolutely perfect sandwich? These crispy, melty, buttery and cheesy sandwiches are quick to assemble, easy to make and even better to eat. The best part? They can all be easily customized with an endless variety of cheeses, toppings and fillings to satisfy sweet and savory cravings. Try some of these classic and creative recipes next time you're craving a quick and comforting breakfast, lunch, dinner or indulgent snack. How did we not think of this before? 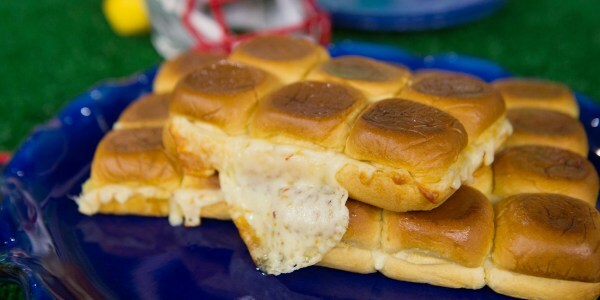 Pull-apart rolls are an excellent way to make a quick and easy batch of bite-size sandwiches. Assemble these cheesy bites ahead of the party so you'll have plenty of time to hang out with the guests. This one awesome dish is so much greater than the sum of its very few parts. 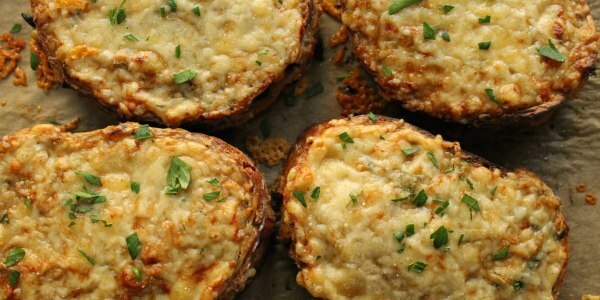 For an added burst of flavor, swap out the Monterey Jack for spicy Pepper Jack or chipotle Gouda, or use marble–rye or multi-grain for the white bread. 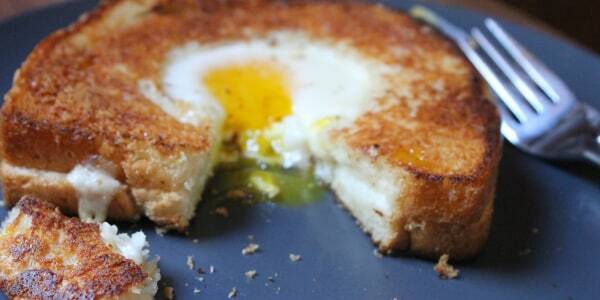 Take everything you thought you knew about grilled cheese and throw it out the window. This sandwich breaks all the rules! 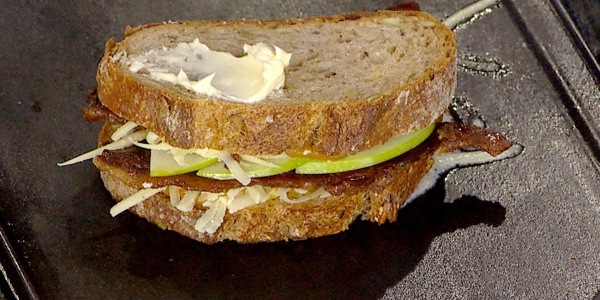 It combines sweet and salty candied bacon with fresh apple, creamy pumpkin and savory Gruyere cheese between two crispy slices of nutty, multigrain bread. Combine two classic sandwiches into one amazing dish with this peanut butter and jelly and grilled cheese mash-up. Mild, creamy Brie pairs perfectly with nutty peanut butter and sweet jam. Croque Monsieur is France's super-luxurious answer to America's much beloved grilled cheese sandwich. And, like its American counterpart, the variations are endless. In addition to, or in place of, the ham, add sautéed mushrooms, wilted greens, crumbled chorizo or even kimchee. For cheese, try imported Fontina, Manchego, Comté or Emmental Swiss. 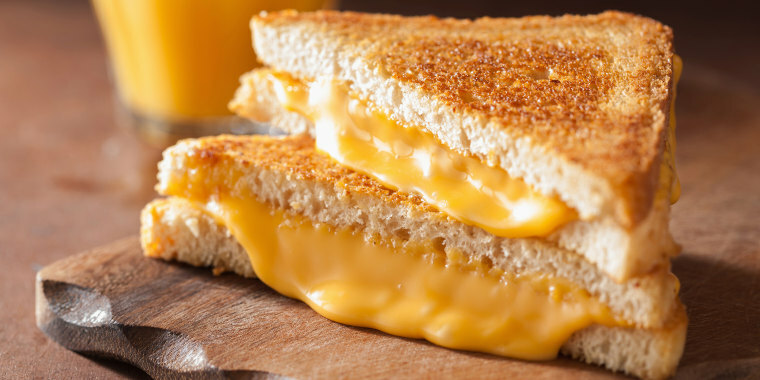 The perfect grilled cheese sandwich starts with, of course, the cheese. Instead of going just for American, use a "trinity of cheeses": provolone, American and sharp cheddar. Start with mustard, spreading it crust-to-crust, layer the cheese (American in the middle! ), ribbon the ham to create height and spread the outside of the bread with mayo to create that perfectly golden crust. Carson Daly created this sandwich as a nod to his favorite cheese shop in Santa Monica, California (where he was born and raised) that hosted beer pairings with different grilled cheeses. Carson says, "I always found the idea simple and delicious, because beer and cheese is such a classic combo. This is one of my favorite pairings, perfect for game days. I like to serve these with a Belgium-style Tripel beer." 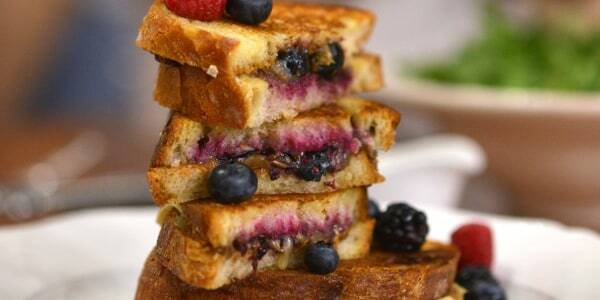 Make a satisfying grilled cheese sandwich for breakfast or brunch! 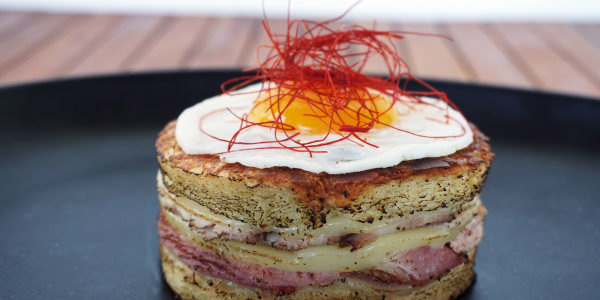 This sandwich is a play on a traditional Cuban media noche sandwich and a French croque madame. Delicious, savory and comforting — this is truly a fantastic way to elevate the classic grilled cheese sandwich. 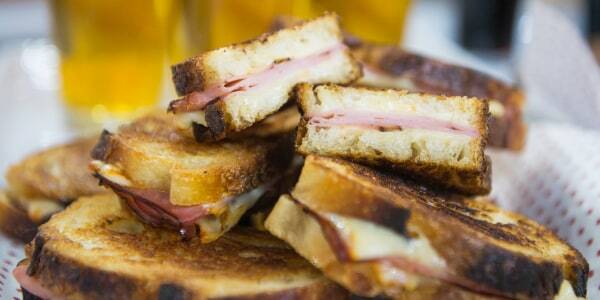 This recipe shows how versatile a grilled cheese sandwich really is. It's a sweet and elegant take on the classic grilled cheese that looks beautiful and tastes even better. 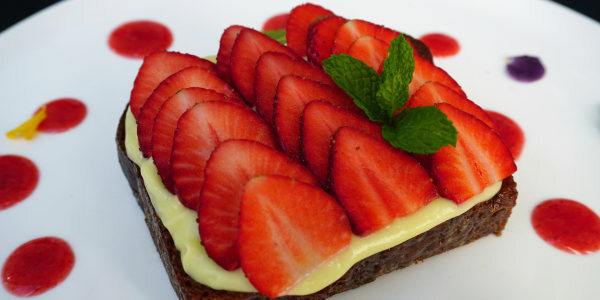 Serve it for dessert or start the day on a sweet note at breakfast. According to Siri Daly, "the combination of a good cheddar and mozzarella makes for the gooiest, meltiest grilled cheese ever." Try dipping a corner of her classic sandwich in homemade tomato soup!